Are you a frequent collaborator or influencer in the Public Media digital landscape? Want to get more involved in shaping multiplatform opportunities for stations? If so, we're looking for you! PBS Digital is seeking to fill a few open seats on the Digital Media Advisory Council (DMAC) with station representatives from different licensee types, market sizes, and digital-related disciplines. The DMAC acts as an advisory group of key leaders within the public television system, advocating for stations and collaborating with PBS Digital to ensure that stations' product, service, and educational needs are represented. Council members routinely get an early look at products and services from PBS Digital and collaborate on exciting projects with other system digital influencers. DMAC members are not necessarily the digital lead at a station, but should have a connection to work being done in the digital space. DMAC member responsibilities include actively participating in soliciting and sharing station feedback through monthly calls, participating at conference events, working on collaborative projects, and identifying unmet system needs. 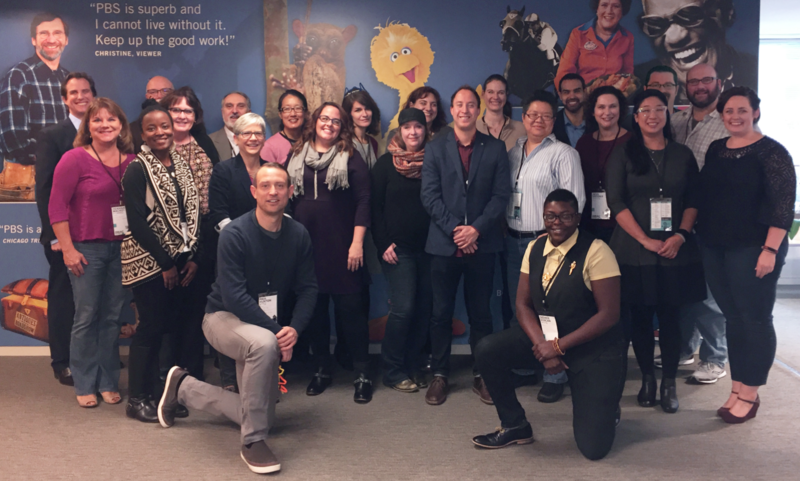 Read a report from one of last year's new DMAC members, Cheraine Stanford from WPSU on her experience at the in-person DMAC Summit. Check out past blog posts from DMAC members on digital2.bento-live.pbs.org. Read and review the Digital Media Advisory Council’s Charter and the responsibilities expected of its members. Interested in who your peers on the council would be? Check out the current list of DMAC members to see who you'd be working with. Know someone who would be perfect or interested in applying yourself? To apply, you must be employed at a public television station (including dual-licensees), have demonstrated leadership and success in your field of expertise, and have a commitment to strengthening public media in the multiplatform spaces. DEADLINE: Applications will be accepted until Wednesday, August 31, 2017. The DMAC's primary goal is to advocate for stations and actively collaborate with PBS Digital on the products and services being offered. How will you be able to help meet this objective? What do you hope to get out of being on the DMAC? The time commitment of a DMAC member consists of <5 hours per month and up to two in-person meetings a year. Are you able to take on this commitment given your current station workload? The DMAC has three standing subcommittees: Outreach, Content and Product Feedback. Each member is asked to participate in one. Which committee interests you? Why does this committee interest you? ​Please tell us a little bit about your background in public media. Surprise Us -- Be creative! Feel free to use this space to provide a little insight into who you are and your role in public media. If you want to submit a video file, graphic, or other attachment, please email it to spi@pbs.org.